There are people that vastly enjoy camping and try to do it as often as possible, sometimes trying to get away from it all as often as every month or even more frequently. 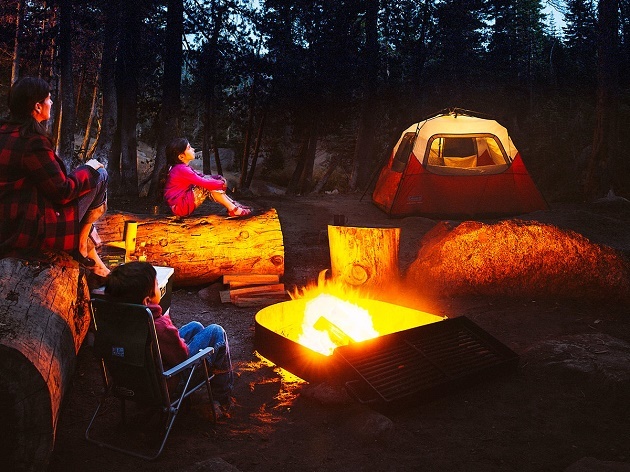 While it may seem like a rough experience to go and spend some time in nature without any of the incredible conveniences that most of us take for granted at home, there are ways in which campers can make it fun. If they can afford it, a lot of them actually get caravans in order to travel and camp in style, though most prefer to use tents because they are far cheaper, and much more in the spirit of camping than a fully equipped RV is. But even if you are in a tent, there are still a plethora of different items that you can bring along with you to make it as easy on yourself as possible. However, if that is not your purpose, and you’ve gone to try and get by with as little as possible and see how well you fare with little more than your skills, then these are the perfect items for you. 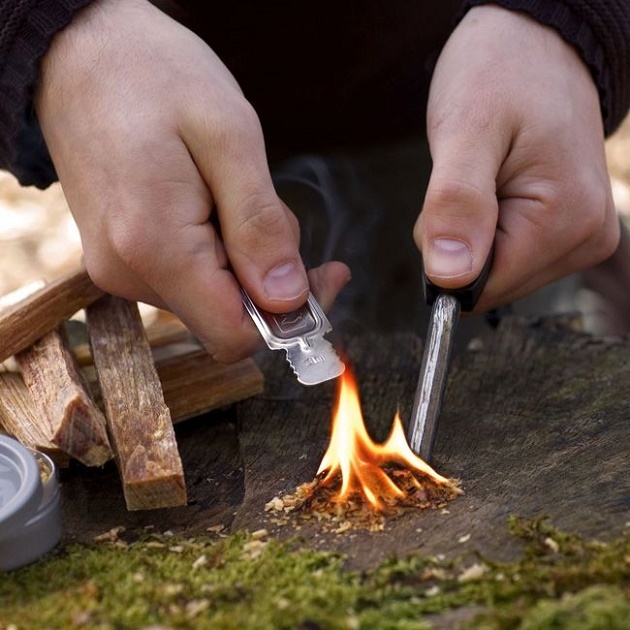 It doesn’t matter if you are a chef, a pot maker or an arsonist, fire is one of the most important tools that you have at your disposal, and the same is true when camping as well, which is why you’re going to need a flint and steel firestarter set. 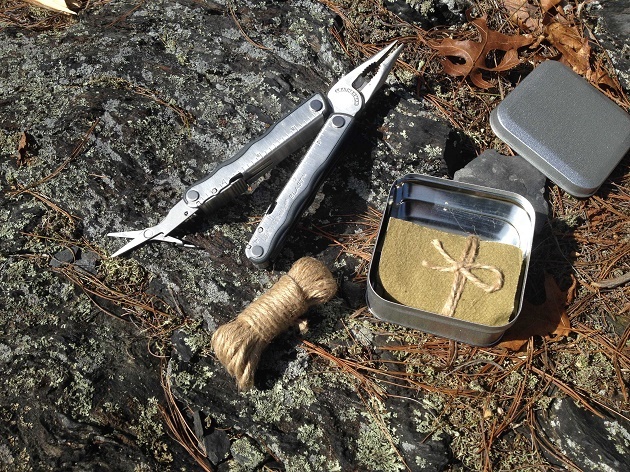 While bringing a flint and steel firestarter set may be a bit more difficult than just bringing a lighter along with you, there are certain conditions in which this is the genuinely more optimal way of making a camp fire. Additionally, no lighter or matches will feel as satisfying as striking the flint on the steel and having the kindling catch fire from the sparks. Another great tool for those that like to go for the simpler, but more effective ways of doing things is the multi-tool. This is a great item for two main reasons. One, it is a hand tool which holds a number of different incredibly useful smaller tools like knives, scissors, clippers and so on in one remarkably compact package. Two, it is one of the most basic tools that you can get despite its utility, meaning that you will still be able to do things the old-fashioned way without relying on any appliances or battery powered devices. And finally, seeing as how we started this list with a basic element of nature, it seems only fitting that we end it with another, or more precisely a way of holding and transporting said fundamental element of nature. The previous sentence was basically a convoluted way of saying – get a canteen. While this may not seem like some sort of mind-blowing revelation, you will need water while you are out in nature and it is unsure if you will or will not come across a clean source of it where you can refill your supply. Therefore, getting yourself a large quantity canteen can allow you to take as much drinking water as you can carry and keep it in a clean and well sealed container.